Made up of granite and bronze, Zulmiro de Carvalho’s piece simultaneously materialises the two basic requirements to be met by modern sculpture: structural economy and existential authenticity. A fervent supporter of modular elements’ constructive rigour and of rocky textures’ plastic possibilities, he attended the Porto Academy of Fine Arts. It was in London’s St. Martin´s School of Art (1971-73), however, where he was coached by such key figures of minimalist sculpture as Philip King, William Tucker and Anthony Caro, that Carvalho redefined his sculptural practice and refined his plastic and conceptual concerns. Due to that learning process, he was one of the main artists to introduce minimalist ideals in Portuguese sculpture, featured by modular shapes, lack of pedestals and impersonal manufacture, favouring technology-tiered methods over handcraftsmanship, as well as industrial materials, handled in accordance with the conceptual design of each project. Faithful to the formally rigorous treatment of forms, Zulmiro de Carvalho’s sculpture shows a sturdy granite mass intersected by a clean-cut metallic element, in which there is an interplay of textural evanescence and luminous crevices. This piece extends a subtle and discreet invitation to an understanding of space and materials, as well as of the volumes resulting from handling them both. 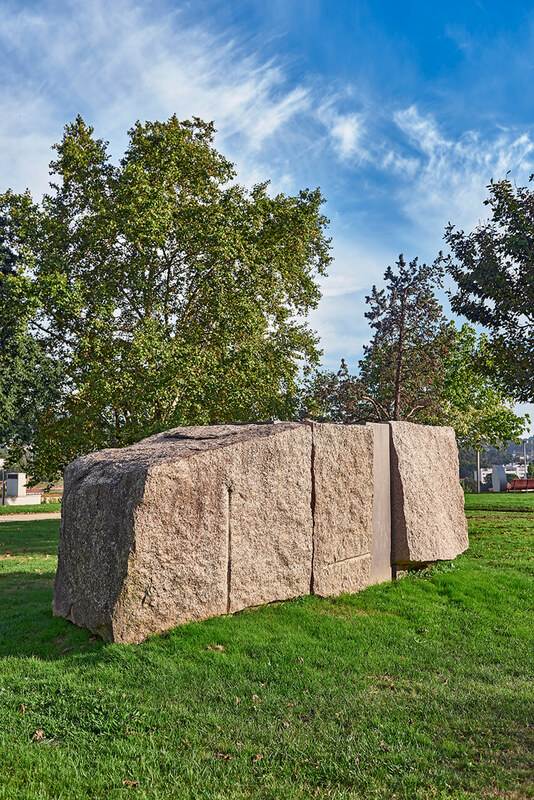 This sculptor’s imprint on space is never random, but a testimony to his warm and elaborate relationship with the environment.